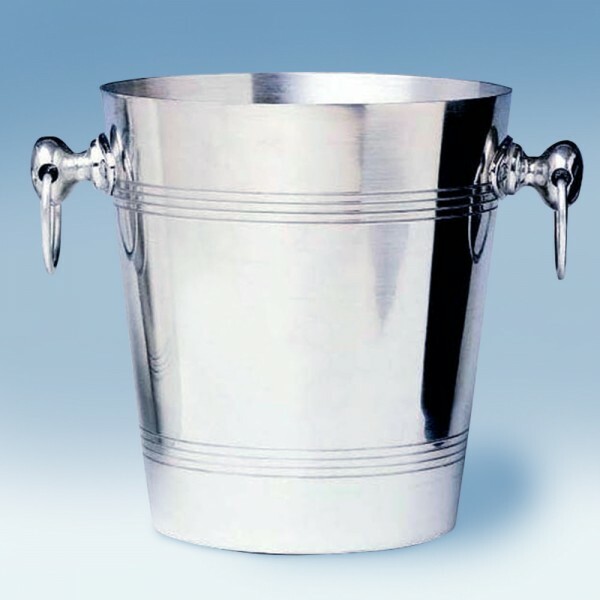 Aluminum Wine and Champagne Bucket (P/N 9273). This bucket features a straight-edge top, cast handles with rings, and a strong aluminum body that is 1.5 mm thick. A bottle of wine or champagne will fit nicely in this classic Aluminum Ice Bucket.